PIERRE, S.D. 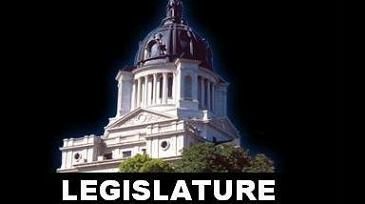 - The South Dakota House has approved a bill aimed at addressing concerns about a polygamous group's Black Hills outpost by making it a misdemeanor not to report births and deaths. Representatives voted 67-1 on Tuesday to send the measure to the Senate. Republican Rep. Tim Goodwin, the sponsor, says it's a starting point so members of the group have to follow the law. State law currently requires births and deaths to be reported, but there's no penalty for failing to do so. The Department of Health said in 2017 that no such records had been filed from the compound's address in the previous 10 years. One former resident, though, said births occurred at the site, including two of her own children. The Fundamentalist Church of Jesus Christ of Latter-Day Saints opened the 140-acre outpost over a decade ago.